It has been a very sad week for the nation of Thailand, as we lost the longest-reigning, and possibly the most beloved monarch, in the world. Although, I am not at liberty to post details, one only has to Google “Thailand” to get the full story. It is a crucial time for the nation, over the coming days and months, and we would appreciate your prayers for Thailand. Interestingly, this event happened as believers nationwide were already in the midst of 40 days of prayer for Thailand, which began on October 1. We join with Christians throughout Thailand in continuing to intercede through these 40 days. As a way to support this annual initiative, we mobilized YWAM volunteers to translate the 40-Day Prayer Manual into English so that non-Thai-speaking Christians could also join in praying along the same daily themes. 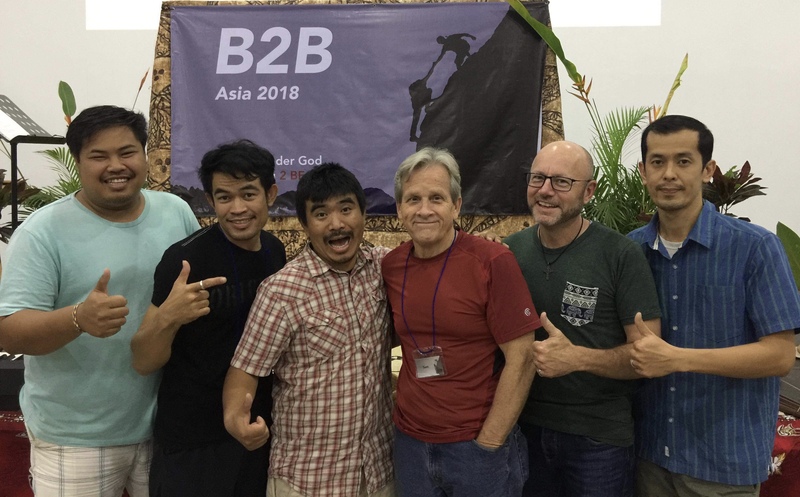 We were blessed to join the final two regional YWAM staff gatherings recently – Northeast (known as “Isaan”) and Central Thailand – where we spoke for one session, led worship, prayed over unreached areas, met new people, and encouraged others. What a joy to see what God is doing around the country! In September, Cindy had a whirlwind trip to the States taking her parents to see family in California, meeting up with long-time friends, helping with a ministry fundraiser and a chance to see Isaac. In the meantime, I participated in a workshop in Singapore where we wrestled with the question, “What needs to be done for all of … (a province, district, etc. )… to have access to the gospel and be blessed with transformational disciple-making ministries and movements?” Now that’s a big question! It was also an opportunity to experience the “city in a garden” – Singapore itself. If our Bible story begins in a garden and ends in a city, there are some things we can learn from the Singaporeans! While in Chiang Mai this month, I was able to meet with the Thai leaders of Compassion, Kairos Course, and Perspectives on World Missions. 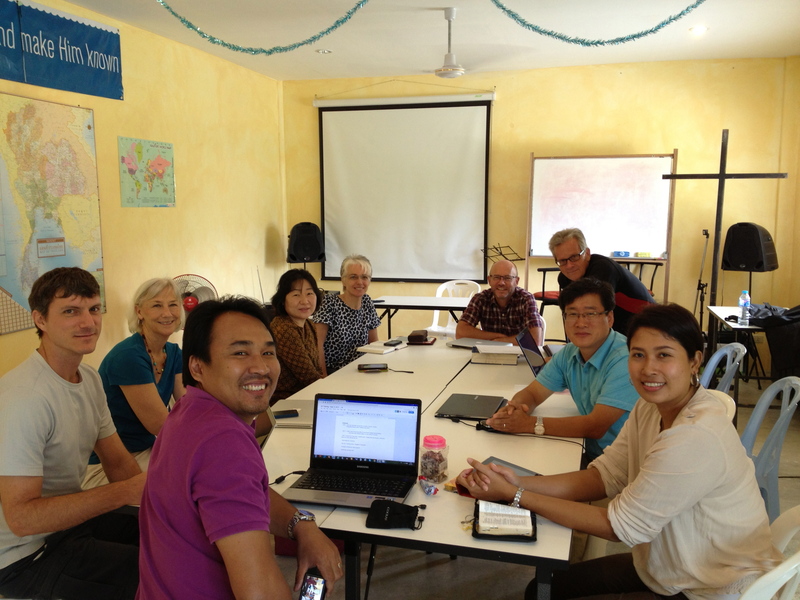 Both the “Perspectives” course and “Kairos” are now being taught in Thai language, and we had a great discussion about how to partner together more. These courses provide excellent teaching and theory, while YWAM’s Discipleship Training School (DTS) provides a vehicle for putting that theory into practice. I believe this will lead to more Thai missionaries being called and sent to other nations. We praise God for his provision in making up some of the loss of financial support we’ve experienced. We are still praying for an additional $500./month support, but it has been very encouraging to receive some committed responses from some of you. Thank you for your continued prayers and partnership! 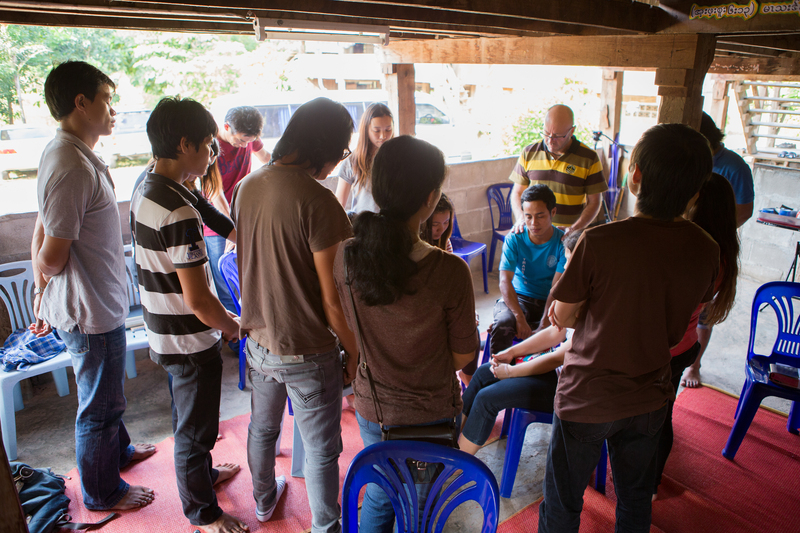 It is a privilege to serve together with you in seeing God’s Kingdom come in Thailand. Sometimes, it’s hard to describe to others what we do. We don’t pastor a church. We’re not preaching to hundreds or thousands every week. But every element of our ministry is strategically pursued to impact this nation and make a difference. A fellow missionary once described it beautifully to me. In a soccer game, it’s the “assist” that leads to a goal. In American football, often the “touchdown pass” leads to a touchdown. The striker or the receiver may receive the glory for making that score, but without that supporting kick or throw, the winning point would not have happened. The Apostle Paul said one man plants, another waters, but only God makes things grow. So it is with our roles here in Thailand. We will never be Thai, so we will always have limitations. But it seems God has given us the ability to strategically, sometimes prophetically, see the bigger picture and who or what is needed. We then support others by connecting people, dreams or resources in the right place so that Kingdom fruit will multiply. Here are a few ways that that has happened lately . . . A trip to YWAM Salem, Oregon, two years ago led to their leadership team coming this year to survey various ministries in order to partner long-term with some. 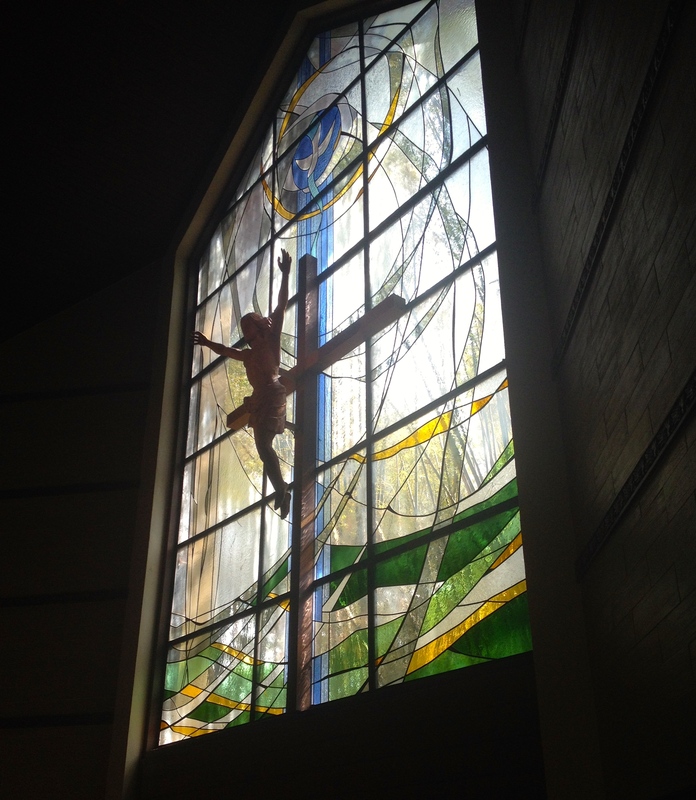 I used it as an opportunity to visit one of our ministry locations I hadn’t yet been to. I was so impressed with our local Thai leaders there who are bringing many Thai university students to Christ. In addition, they are running a tea shop business to generate ministry funds, and developing some land for a ministry center. We hosted our friends, Craig and Emily DeBoor, who were visiting Thailand for the first time, praying about how God may want to use them cross-culturally in the future. It was a delight to introduce them to some of our Thai “heroes” who are reaching the “least of these” with the love of Jesus. It was inspiring to spend a couple of days with the Thai Emerging Leaders group we’ve formed. 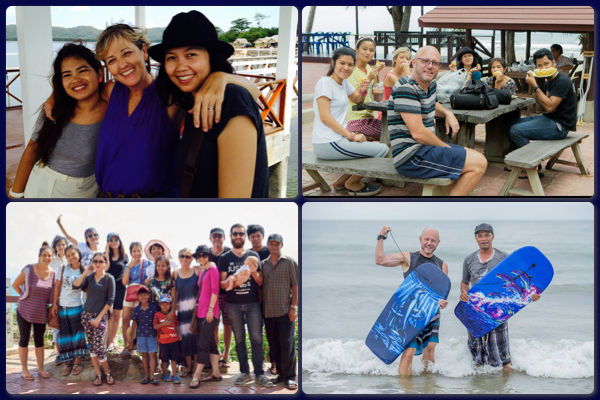 Our goal is to equip them to lead YWAM Thailand at a national level. But we learn so much from them as well. Especially as the majority of them are the first-ever Christians in their Buddhist families. 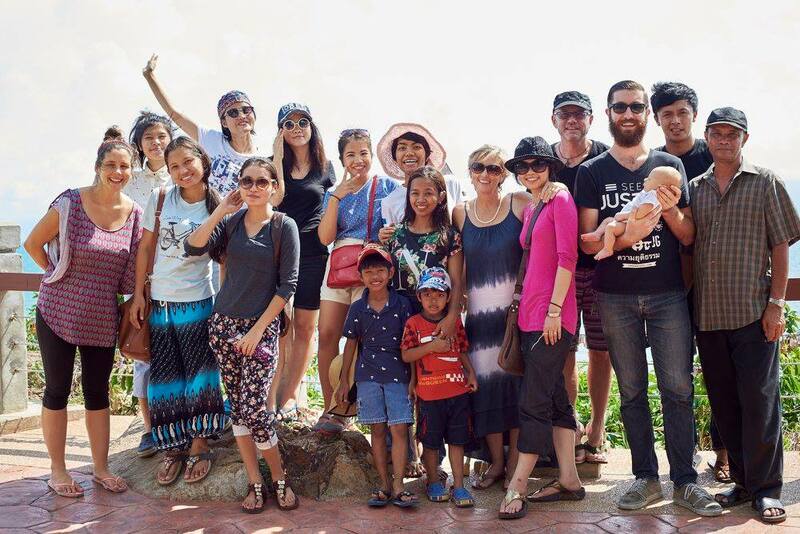 Cindy helped organize our annual YWAM Thailand National Office staff retreat, where we gave our office staff a much-needed break filled with lots of fun, affirmation, prayer and good food. Being spiritual parents in this way always brings us joy. We hosted a mini-seminar for 70+ Thais and missionaries from various churches with Dr. Larry Persons who has just written an excellent book, called “The Way Thais Lead”, on the subject of “face” and how it affects leadership within Thai culture. We all realized how much we still have to learn. A special highlight has been seeing Derek thrive in ministry. I recently had the privilege of preaching in the bilingual house church he is helping to lead. 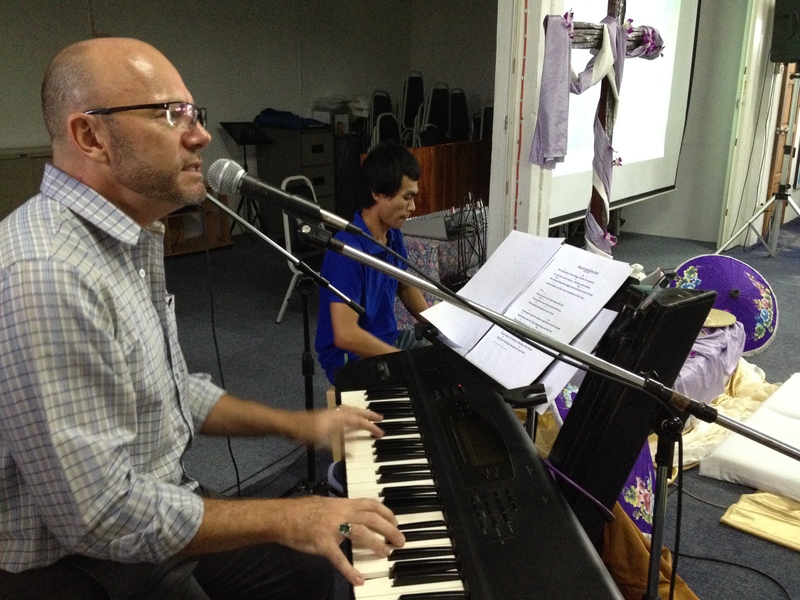 It was my first time to preach in Thai with Derek as my translator. There have been some battle losses lately as well. This week, we lost a dear friend in the States, Bill Hobbs, to multiple myeloma cancer. He had impacted our lives since before we were married. 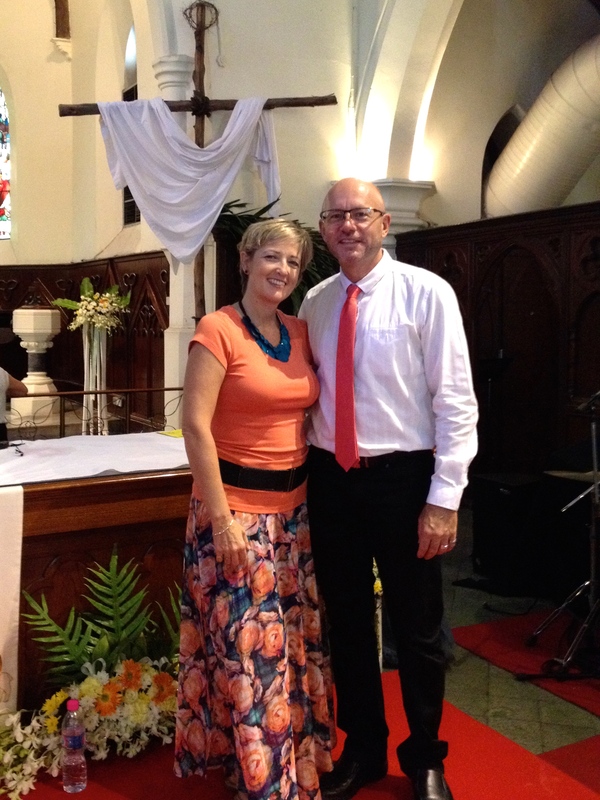 The next day, very unexpectedly, Pastor Nok, here in Bangkok, died of a heart attack. 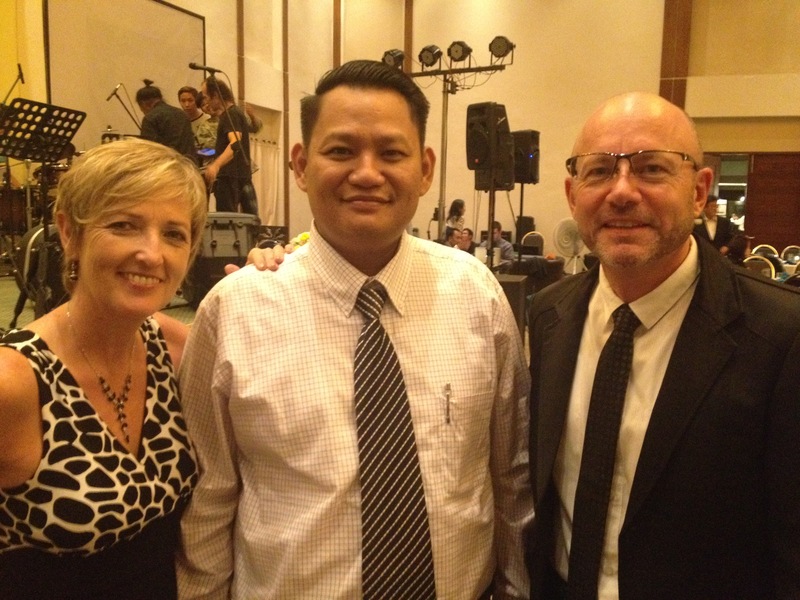 He was not only a friend, but possibly the most influential pastor in Thailand. He carried such a burden and passion for seeing his nation transformed by the gospel. And he had opened many doors for us to have national influence in the Body of Christ as well. Both the losses and the victories remind us that we are in a battle for this nation. But we know Who ultimately wins! Thank you for your continued prayers and support. We are so grateful. It is a privilege to serve together with you. Our ministry is supported entirely by donations. (For IRS purposes, do not write our names or project # on the check. There are moments in history when it seems heaven and earth bump into each other. 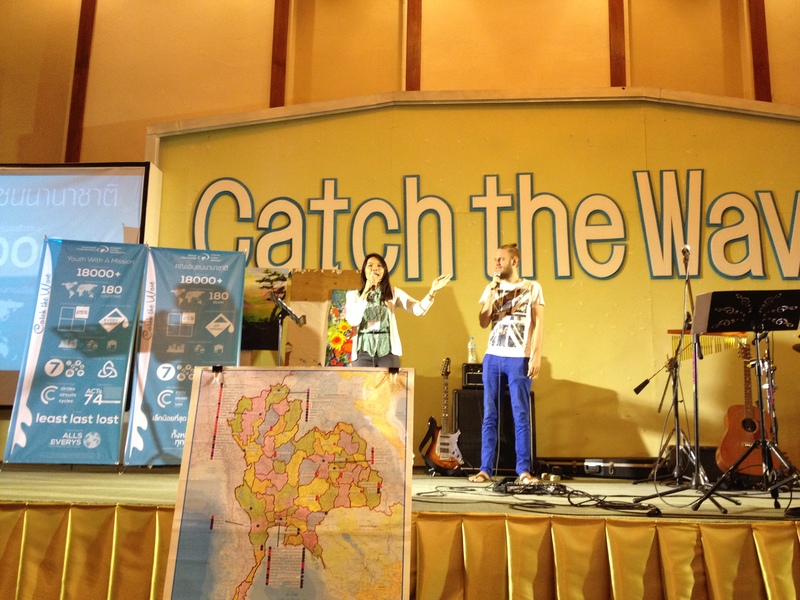 That was the atmosphere during much of our YWAM Thailand National Conference last week. 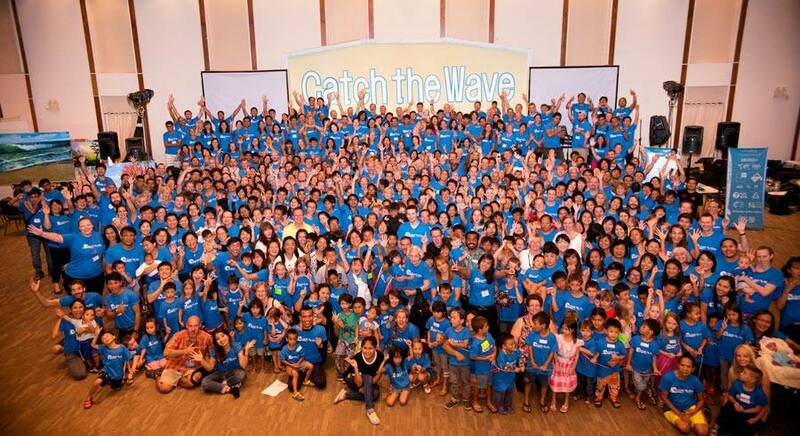 With the theme of “Catch the Wave”, it literally felt like riding a wave to greater and greater heights. From the moments in worship to the speakers’ messages, from the artistic creativity to the strategic networking, each session brought us closer to God’s heart for Thailand and the nations. The first evening focused on worship through the arts, so we dressed up for a gala dinner, were surrounded by beautiful paintings crafted by YWAM Thailand staff, and were inspired by classical musical performances giving glory to God. For a taste of this glory, click HERE Several messages came from some of our emerging Thai leaders, who challenged us to hold tightly to our calling and take the gospel to “where we are not”. 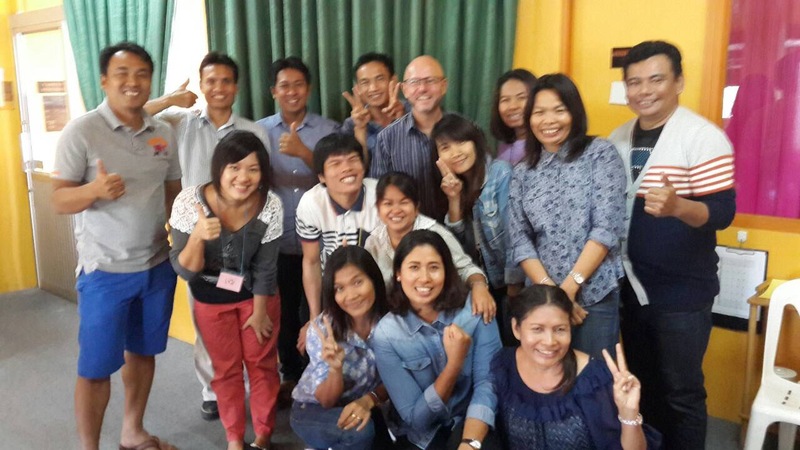 YWAM Myanmar’s leader, Saw Peter, challenged us to partner with others in order to reach a broader audience. He was instrumental in getting the SuperBook Biblical cartoon on national television in Myanmar. Did you know that YWAM Thailand staff impact the lives of more than 55,000 Thais on a regular basis through showing the love of Jesus practically?! This includes caring for orphans and widows, sponsoring children’s education, and ministering to the “least of these”. One session was spent in what we call “network circles”. By networking around common themes, we are able to make a bigger impact and measure the effect of that impact. 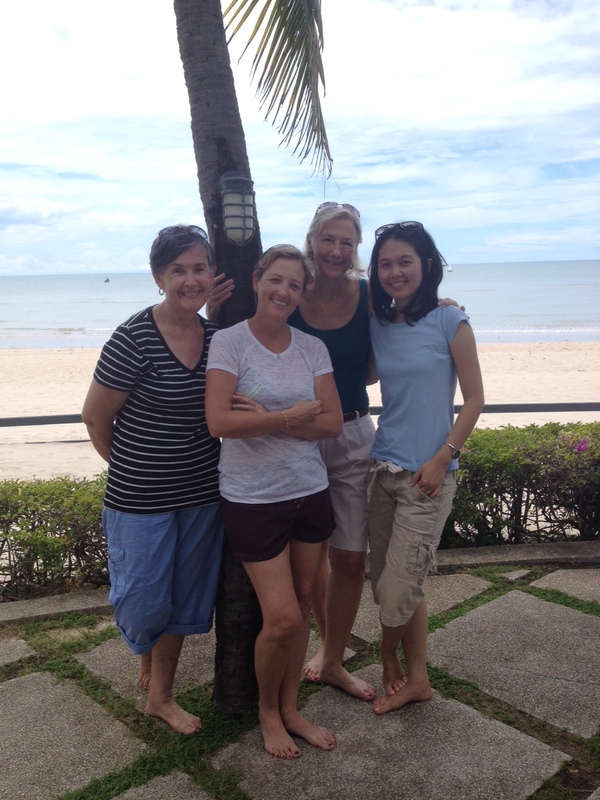 Cindy and 3 friends – who’s total time in Thailand adds up to nearly 100 years! 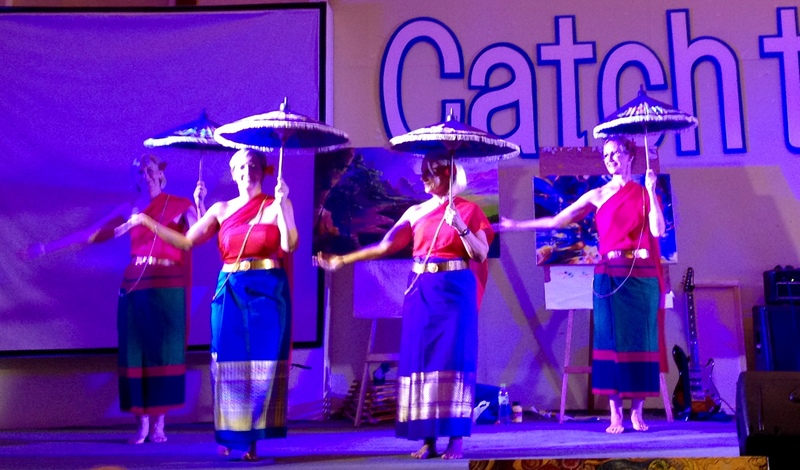 – performed a classical Thai worship dance to demonstrate their great love for our Thai brothers and sisters. It so moved the audience, they were cheering with tears streaming down their faces. On the final day, Mr. Punya, a driver whom we’ve hired frequently over the years for guests and events, finally accepted Christ as his Savior. ON A PERSONAL NOTE – After more than 3 years of recovery from severe burnout, Cindy was able to join with these amazing ladies to co-ordinate and provide spiritual and logistical oversight for our time during the conference. It was good to see her back in action again being “Mom” to our YWAM Thailand mission. 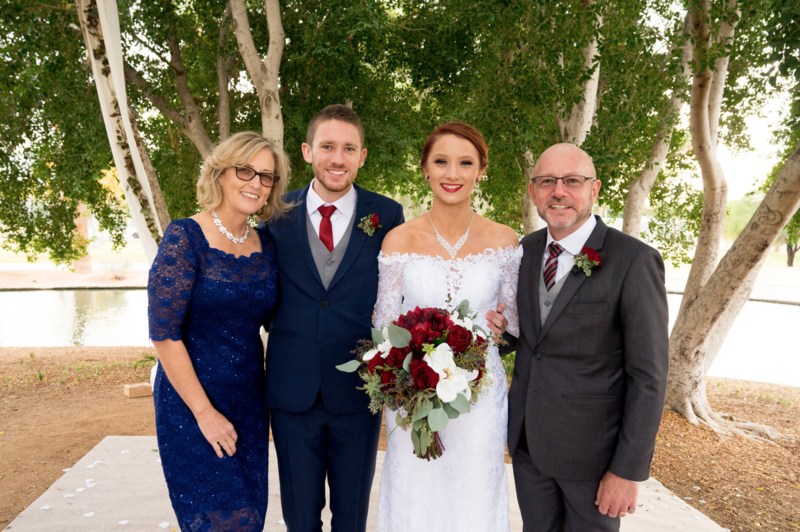 FAMILY NEWS – In the midst of our conference, we learned that Cindy’s father, Joe, had suffered a stroke. Thankfully, he is recovering and we are hopeful he will not be severely affected. Our son, Isaac, was visiting his grandparents that week and so was able to help out in a time of need. 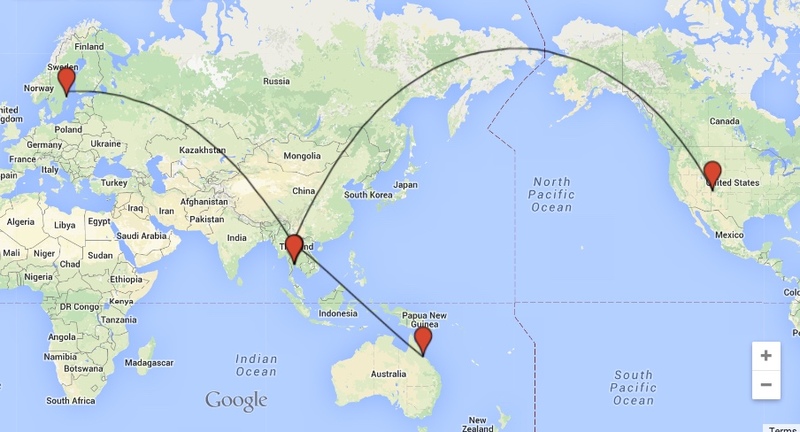 SUPPORT – We are still needing additional funding for ministry travels this year. We would greatly appreciate your prayers and consideration in this matter. THANK YOU! to all of you who continue to stand with us in this ministry. Your partnership is invaluable! P.S. We had the privilege of leading worship one session with 4 other musicians – none of whom had played together or with us before. The one song I felt strongly to use was a new one called “No Longer Slaves”, from Bethel Worship. One of our young Thai staff led the first verse in Thai, and then I followed in English. Many were impacted by the powerful message of this song. Click on this link to hear the result – https://youtu.be/-VhzU4S8GDo. IN MEMORY OF CAROLYN BROWN – Only weeks before our national staff conference, we learned that our friend, Carolyn, had passed away from a sudden complication related to cancer treatment. Carolyn was a dear friend and faithful supporter of our ministry for many years. Her heart was to come alongside missionaries through her business to further the Kingdom of God, and in doing so has also supported many of our Thai staff along the way. In recent years, she started a non-profit ministry, (interestingly) called The WAVE Project (Women Achieving Their Vision Through Excellence). We’ve been blessed to have her on our support team. She will be greatly missed. What an amazing year this is turning out to be! New and unexpected opportunities have become the norm. As we seek to lead YWAM Thailand’s 500+ staff and 80 ministries into their spiritual inheritance, God is opening up numerous opportunities for partnerships with other organizations and churches – including the Thai Christian Business Association, Food for the Hungry, Compassion International, English teachers, anti-trafficking ministries and more. This has also led to new visa options for some of our long-term staff – a real breakthrough and answer to prayer. Meanwhile, an unexpected opportunity came to take the only common language Thai Bible (NTV) that’s translated from the original Hebrew/Greek and print it into the SourceView format. The SourceView is a color-coded format that brings the story of the Bible alive, especially when read aloud in a small group, by allowing you to easily hear who is speaking. Black font = the narrator; red font = God; green font = the main character; blue font = other characters. At this moment, we are printing 8,000 Gospels+Acts in this SourceView NTV version. As if that’s not enough, 6,500 of these SourceView Thai Bibles will be given away for FREE next month to church leaders from every denomination and province of the country. 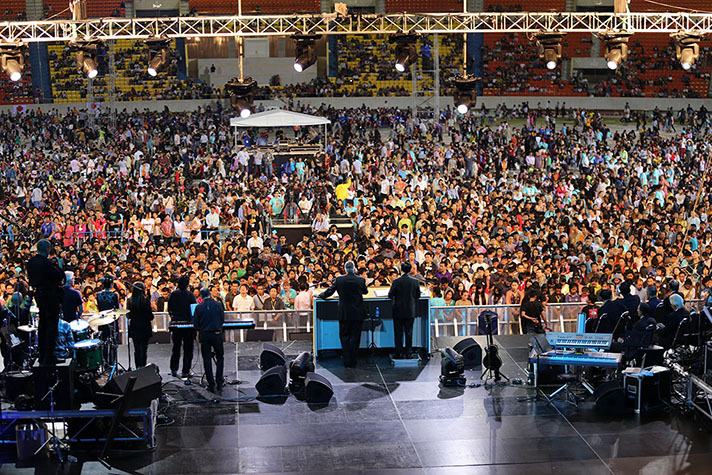 The Thailand Congress on Evangelism only happens every 4 years. 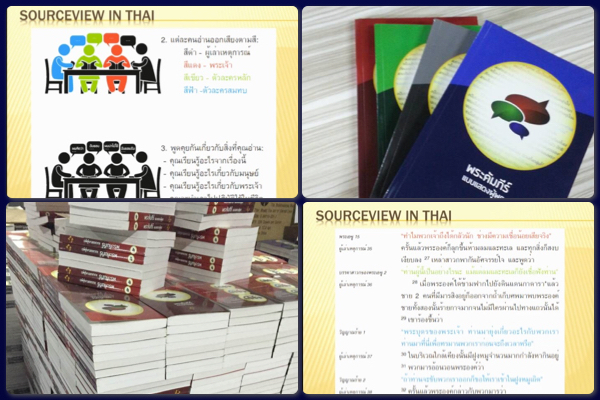 And we will be providing each attendee with a SourceView Thai Bible to inspire their Bible teaching and study. Ironically, the Bibles are being printed in China. Please pray that they arrive in time with no delays from shipping or customs. 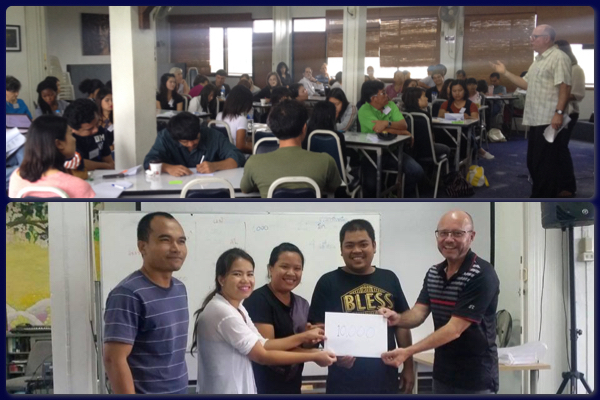 We recently hosted a finances and fundraising workshop for many of our Thai staff. Since YWAM staff and ministries raise their own support, this is a big challenge for our Thai staff especially. But many were encouraged and inspired as they learned more of God’s perspective on financial planning and fundraising. One highlight was a contest based on the parable of the talents where various teams won actual cash of $30 to $300 which they must now try to double by Aug. 3 when we meet at our national staff conference. 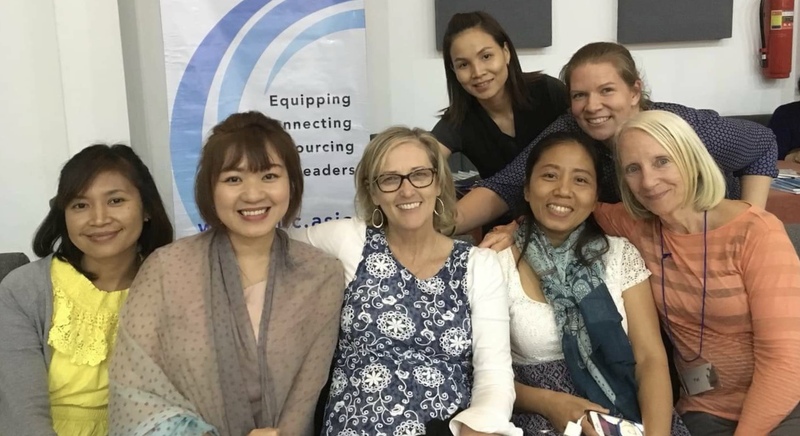 As we continue to disciple Thais in leadership, we have also formed an Emerging Leaders Training group, which we will be developing to eventually lead YWAM Thailand at the national level. 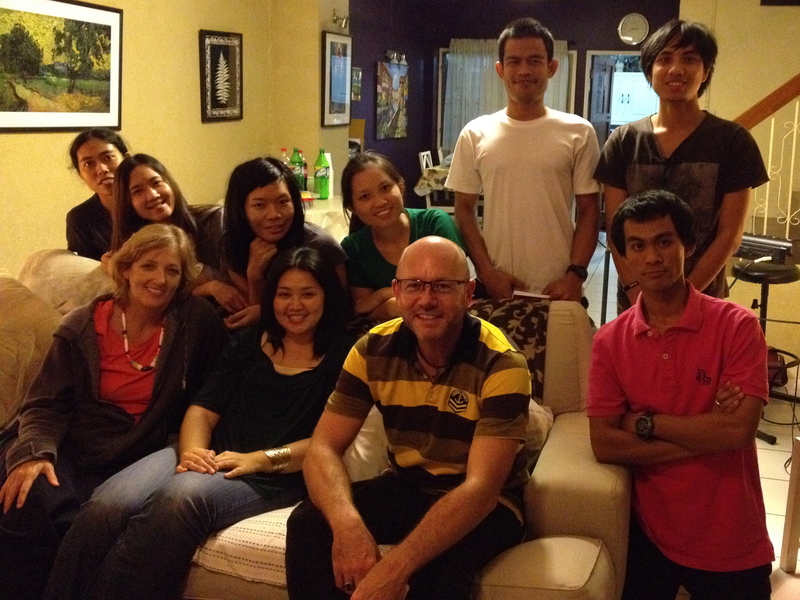 It was a joy to share with them what I see in the future of YWAM Thailand. We will be meeting with them periodically to equip them further. Last week, we took our National Office staff on our annual retreat. It was a joy to laugh, play and pray together outside the office, and especially to get to know them more personally as we shared life stories. As you know, Cindy had knee surgery in November due to a torn meniscus and ACL. After some good recovery progress, there’s been a setback causing both physical pain and emotional wear. Please pray for complete healing. This year will involve more travel than ever before for both ministry leadership and personal reasons. Thanks to the amazing generosity of some dear friends, we have been given a European cruise to celebrate our 30th anniversary in June! We are overwhelmed with thankfulness for this gift. In addition, given the significance of our national leadership role at present, we feel it necessary to attend YWAM’s Global Gathering in Townsville, Australia this September. We haven’t attended this type of event in many years, but this year it is necessary. But also this year, we feel strongly that we need to spend Christmas with our parents. For the first time, both Cindy’s and my parents are in the same town (Cortez, CO). And we have not spent Christmas with them in 13 years! Given their ages, and their requests for us to be with them, we feel we must take this opportunity while we have it. However, this means we need to raise a total of $5,500. in travel expenses which we don’t presently have. Would you prayerfully consider contributing to this need? We are trusting God to provide this soon so as not to carry debt on the air tickets. He has always been faithful to provide through His people. We’ve just received word that Cindy’s sister, Shelia, who’s been in prison for 5 years, will be granted a parole hearing on July 10. Please pray that she is released and able to move to Colorado to help care for her parents. This has been a heavy weight on Cindy and her family for a long time. Finally, we want to thank you for continuing to partner with us in ministry. It is truly a privilege to serve God together with you for this nation. After 23 years on this journey, we only wish you could come and see the impact for yourselves! P.S. We send out brief weekly prayer requests to those who want to stay more in touch and intercede about key issues. If you would like to receive these, just let me know. – recognizing I must have been more tired that I even realized. I took two naps yesterday afternoon. Went to bed at 9 pm last night, after 2 naps that afternoon. Woke up at 7 am and went for a run up the road and into Chiang Mai University. After my run, I began to feel a sense of refreshment, different than the previous 2 days. All the sleeping has helped. I realize my tiredness is from some very full weeks of service and extroversion, but not from being stressed out. I feel a sense of affirmation from the Father that this is good timing, preventative maintenance. It’s following Jesus’ example of going away to spend time with the Father just as the crowds were pressing in and demands were high. I’m so glad I was proactive in scheduling this in, rather than waiting until I was desperate. Telling this to David, and of my new “joy/rejoice” searches in the Bible, he reminded me of a passage in Isaiah 45:18 that talks about God creating the world “to be lived in” or “to be inhabited”. Enjoying God’s creation is part of experiencing the joy of the Lord. I spent a good part of the morning looking up “joy” and “rejoice” verses in both the old and new testaments. It struck me again how the Old Testament speaks often of trees clapping their hands and singing for joy, oceans resounding, fields being jubilant, the heavens rejoicing and the earth being glad. Oh, the things we don’t know about what is really going on around us! It also struck me how Israel’s tithes, offerings and holy days revolved around celebrating with lots of food, wine, singing and all-out rejoicing. 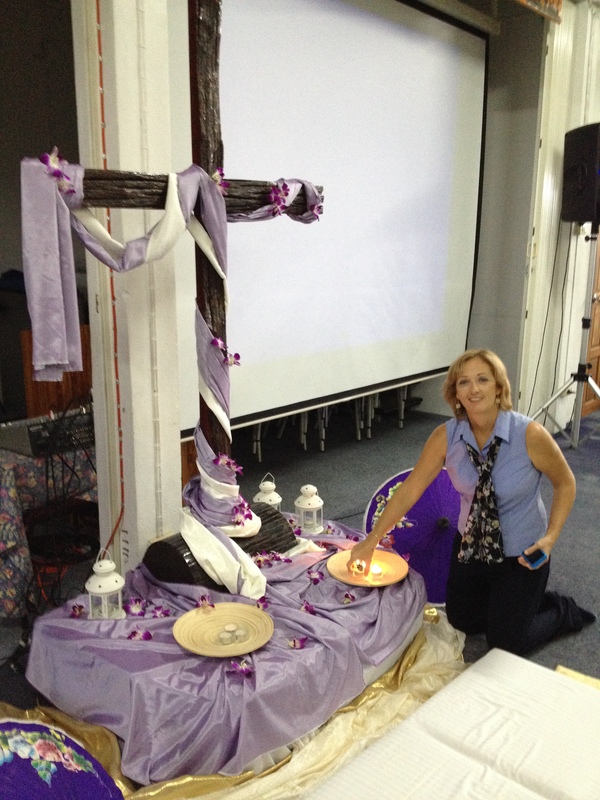 The feast of tabernacles was celebrated for 7 days straight! Since when have we celebrated anything for 7 days? And the New Testament speaks often of rejoicing in both good times and difficult circumstances, rejoicing in the hope we have in Christ, being full of joy, joy as a fruit of the Spirit, etc..
As joy is also a byproduct of being thankful and counting our blessings, I walked the labyrinth again, thanking God for everything I could think of, and praying that the Father would “make my joy complete”, baptize me with joy, and give me a deeper understanding of the joy of the Lord. It’s the end of my third day. I am packed and ready to leave in the morning. Once again, I am so grateful for the opportunity to get away and be still before the Lord. And once again, He has met me in unexpected ways, strengthening my spirit and renewing my mind. Thank you, Father! I didn’t set my alarm, but woke a little after 7 AM, after going to bed at 9:30 PM. Because I realized I needed a 2-prong plug adaptor to recharge my laptop and phone, and because the retreat director mentioned yesterday that exercise is part of a 3-legged stool approach that will enhance my time here (the other 2 legs being rest and prayer), I decided to go for a run and find an adaptor. I ran up the street and into Chiang Mai University’s campus while listening to Bruxy Cavey’s podcast. I ended up running about 5K which was good, considering I haven’t eaten that much. Found what I needed at 7-11 and headed back. While cooling off, I did the Examen, reflecting on the moments of the day before that I’m most and least grateful for. Although it’s obviously clear that my body is really needing rest, I realized I was still fighting off that nagging voice that says I should finish up some emails before settling in here. But I’ve resisted it, as I know it will consume this precious time. But the booklet I stumbled on of some of Pope Francis’ teachings has really captured me. The way he talks about joy being such an integral aspect of the servant of God – “that my joy may be in you and that your joy may be complete.” (John 15:11); and Francis’ statement, “I want to say one word to you and this word is ‘joy’. 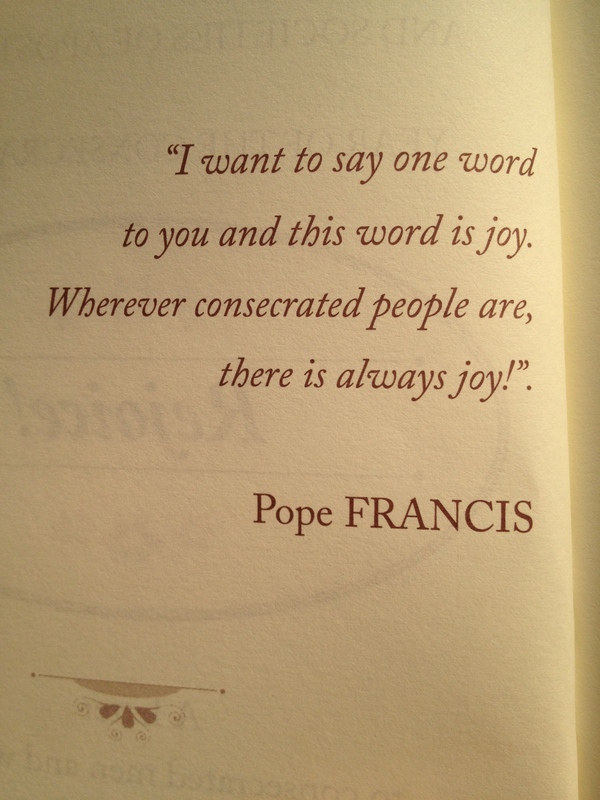 Wherever consecrated people are, there is always joy!” has really intrigued me. It just happened that my Bible reading plan was on that passage in John. And Cindy had mentioned after returning from the Father Heart school that she wanted our lives to be characterized by joy. So I started a process of reading all the verses that mention joy, being joyful, rejoicing, etc., and intend to keep that up over the coming weeks or months. There are more than 350 verses, so it must be an important topic! I did this a couple of years ago with all the “do not be afraid” verses, and it was very impacting. 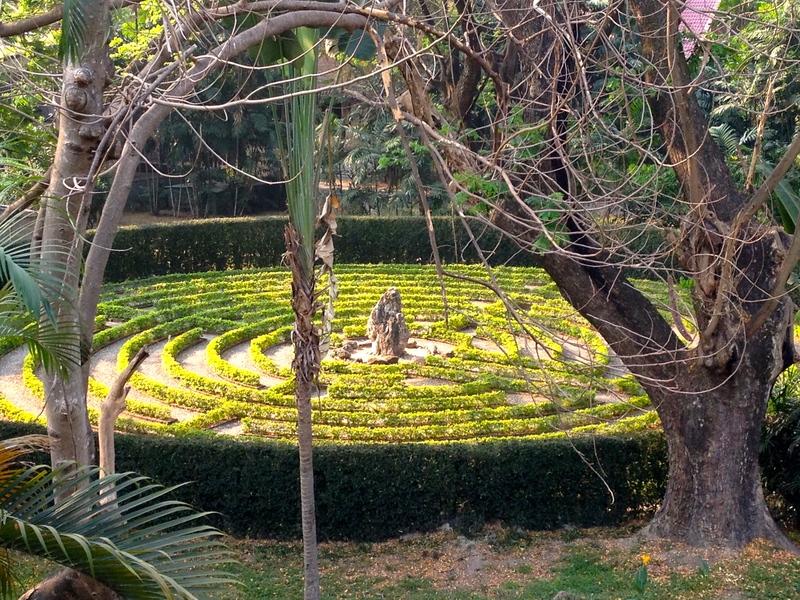 I prayed through the labyrinth again, this time just thanking God for anything I could think of as I made my way to the center; and then praying for different aspects of YT and my leadership on the way back out. Took another nap after lunch . . . Then met with David, my retreat guide, who commented on how tired I must have been, needing all these naps. What does that say about my pace lately? He encouraged me to read the passage in Luke 12 about not worrying, and learning from creation how God looks after and provides our needs. Also, to look at Philippians 4, Paul’s words about rejoicing in the Lord and not being anxious. I just spent time again meditating in the chapel, looking on this sculpture they have backed by a beautiful stained glass window. 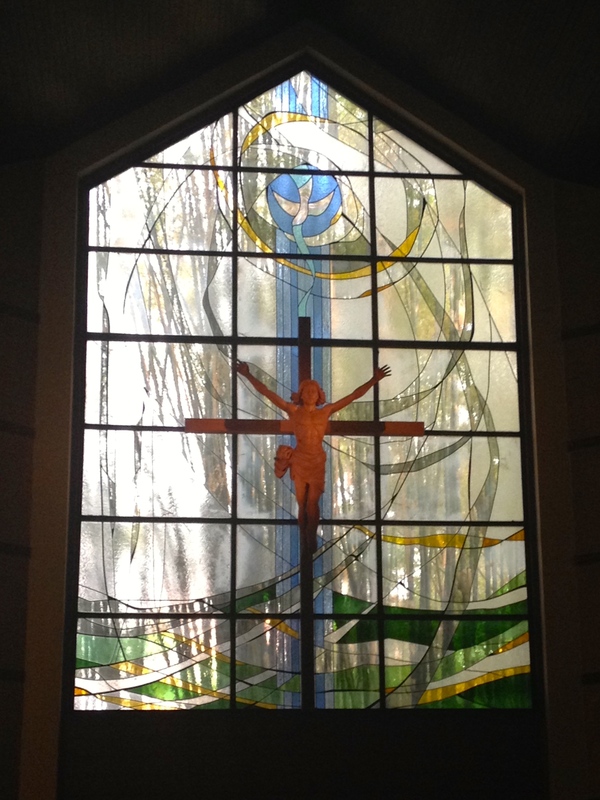 It is unique in that it is a cross, but Jesus is in an ascending position rather than a crucified position. So it reminds us in one image that He was not only crucified, but also resurrected. I wrote this in a note attached to Philippians 3:10-11 in my Bible: “Jesus is both the crucified Christ and the resurrected Christ. We need to know both the power of His death and the power of His resurrection. The fellowship of His sufferings and the supernatural life. Both are equally important. Phil. 3:10-11 – I want to know Christ – yes, to know the power of his resurrection and participation in his sufferings, becoming like him in his death, and so, somehow, attaining to the resurrection from the dead. 2 Cor. 4:7 – But we have this treasure in jars of clay to show that this all-surpassing power is from God and not from us. We are hard pressed on every side, but not crushed; perplexed, but not in despair; persecuted, but not abandoned; struck down, but not destroyed. We always carry around in our body the death of Jesus, so that the life of Jesus may also be revealed in our body. For we who are alive are always being given over to death for Jesus’ sake, so that his life may also be revealed in our moral body. There are a number of things I have thought maybe I should pray about while I’m here, but I don’t seem to be inspired to do that just yet. It seems like I need rest more than focusing on that. As we come to the close of another year and 22 years in Thailand, we are reminded again what a privilege it is to serve God’s purposes for Thailand, together with your support. It has been a whirlwind few months, with little time to report, but with many new developments. So here are a few of them . . .
As we joined with churches around the nation in 40 days of prayer, we hosted a special 11 hours of prayer and worship on October 11 for our local community. A special emphasis was on each of the “7 Spheres of Society”, as well as ASEAN. 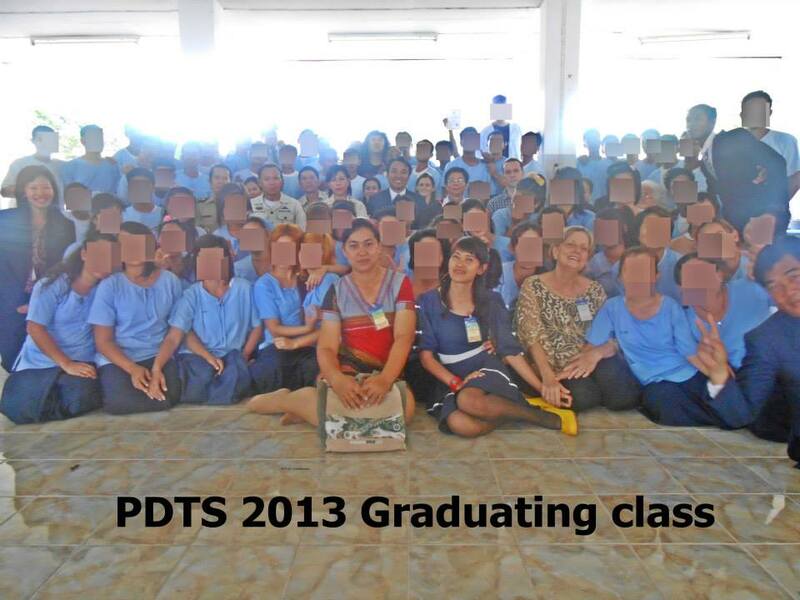 The Prison DTS, led by Noiy & Bronwyn Prommathat, graduated 25 ladies this year, with the prison Commissioner stating, “I don’t understand your Christian language, but I know that I never have any problems from those in the prison that have converted to Christianity. This is a good program and it should continue running”. Taking time out to build relationships with our newest Thai staff is always a treat. They are also leading a bold initiative to connect YWAM Thailand with Africa by taking a team to Uganda, Sudan and Ethiopia for 2 months. I was invited to do some leadership training in Vietnam in November, and then invited to meet with a leader of the Back to Jerusalem movement, a Chinese pastor of underground churches representing 1 million Christians, a few days later. The Back to Jerusalem movement has a strong connection with Thailand, and may become the largest missions movement in history. For security reasons, I can’t show photos from those meetings. 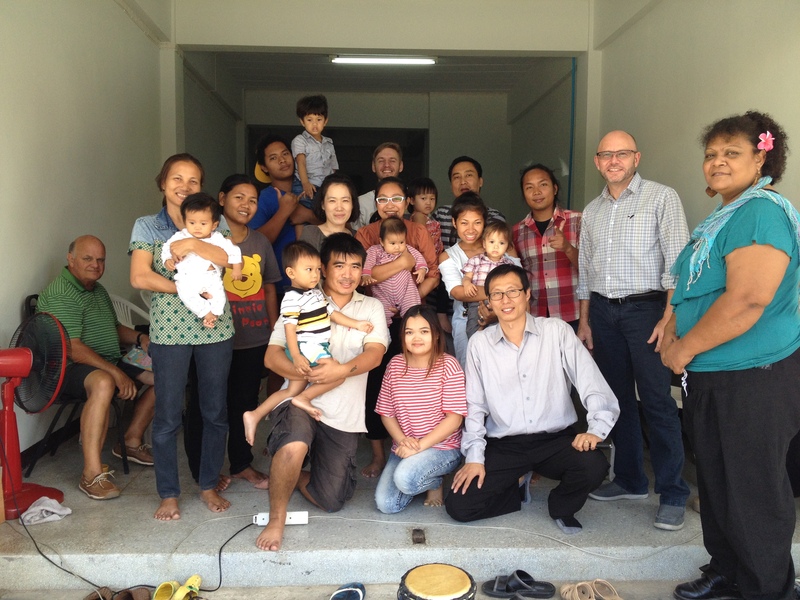 But pictured above is a visit to our staff in Korat province, one of 26 locations that we are now ministering in. 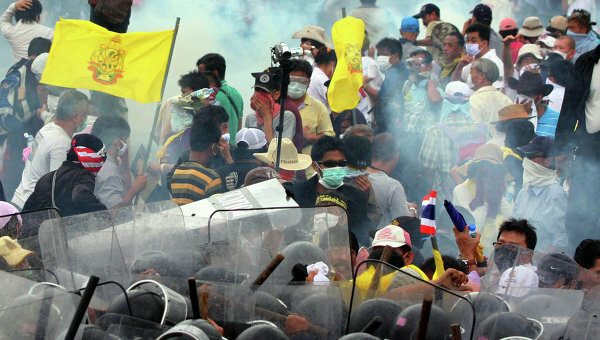 Please do continue to pray for Thailand as the protests are expected to continue tomorrow. Isaac led his soccer team to victory in a final international tournament and was named MVP of the year. He continues to lead Fellowship of Christian Athletes as well. Thank you for continuing to stand with us through prayer, encouragement and financial support. We pray you are blessed abundantly in return, as WE minister together – you and us! Here is another scripture song I wrote recently. These verses often encourage me in difficult times. I hope they encourage you as well.